Kaduna state government in partnership with a non-governmental organisation called Alive&Strive had formerly launched multi media campaign aimed at improving Infant and Young Child Feeding (IYCF) practices in the state. Though the proliferation of breast milk substitute (BMS) was identified as a big threat to exclusive breastfeeding, the state government saw the need for all and sundry to be well informed about IYCF to collectively tackle the challenge of malnutrition among children, hence the launching of multimedia campaign. Themed “Start Strong”, the campaign was expected to be formally launched today (Friday, November 23) by wife of the Governor of Kaduna state and the Chairperson of Kaduna State Emergency Nutrition Action Plan (KADENAP), Hajia Aisha Ummi Garba El-Rufai, at the Conference hall of Hotel Seventeen, Kaduna. This campaign, championed by the state Primary Health Care Development Agency (PHCDA) and the State Emergency Nutrition Action Plan (KADENAP) and supported by Alive & Thrive project, with funding from Bill & Melinda Gates Foundation is a unique initiative that will catalyze behavior change towards improving IYCF indices in Kaduna state, Programme Manager, KADENAP, DR. Zainab Kwaru Mohammed Idris said in a statement. According to him, the outcome of the Start Strong campaign was expected to contribute to the efforts of government and its stakeholders to strategically address and improve infant and young child feeding practices in the state. “Available data indicate that malnutrition accounts for more than 50% of under-five mortality in the state. Infant Mortality rate is 103/ 1000 live births (NDHS 2013); Under 5 Mortality rates is 169/1000 live births (NDHS 2013); the rate of timely breastfeeding initiation is 28.9%( MICS 2017); Only 19.7% are exclusively breast fed (MICS 2017); Only 10% of children aged 6 – 23 months were fed appropriately; 11.7% are wasted from acute under nutrition; 47% of children under-5 years are stunted; 34% are under weight(MICs 2017). “Some of the identified barriers to appropriate IYCF behaviors and practices in the state are connected to issues related to poor knowledge and attitudes about the benefits of appropriate timing of initiating breastfeeding, giving colostrum, misconceptions about giving water and introducing appropriate complementary feeding”, she added. 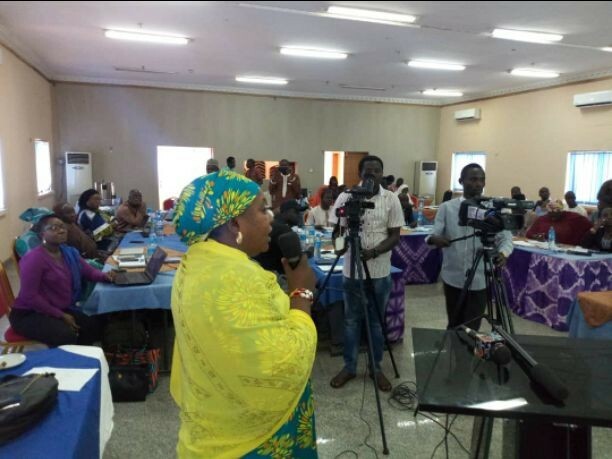 Earlier in her presentation during the general campaign activities yesterday (Thursday, November 22), Kaduna State Nutrition Officer, Hajiya Hauwa Usman noted that, the nutrition situation of children in the state is of public health concern because it accounts for more than 50 percent of under-five mortality. “In Kaduna state, maternal, infant and young child feeding practices have remained unsatisfactory and all hands must be on deck to address this”, she said. This multimedia campaign is a shared responsibility, and everyone has a part to play to ensure the success of the process. It is expected to run through year 2020, across the state.